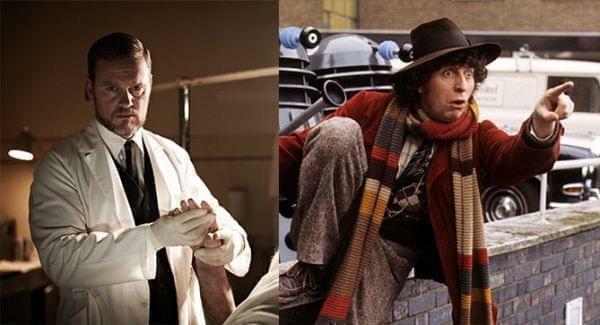 Craig McLachlan as Dr. Lucien Blake (L); Tom Baker as The Doctor (R). The Doctor Blake Mysteries will be seen on WILL-TV Saturdays at 9:00 pm beginning July 16. Each episode will be repeated Sundays at 6:00 pm. Then, on Saturday, July 23 at 10:00 pm, Tom Baker reclaims the role of Doctor Who in a series of movie-length adventures. While Baker was the fourth actor to portray the ever-changing time-traveler, for many Americans he was their first. These classic stories have been newly-remastered, so even if you’ve seen them before, you haven’t seen them look this good! For fans of the modern Doctor Who series, you’ll find that many of the characters and creatures you’re familiar with were introduced during the mid-1970s. You’ll see the first appearance of the mad scientist Davros and the shape-shifting Zygons. Both shows will be part of a reinvigorated (dare I write, “regenerated?”) Saturday evening schedule on WILL-TV!